I'm flying out to Virginia tomorrow to meet my mom and embark on a week-long journey of visiting family. 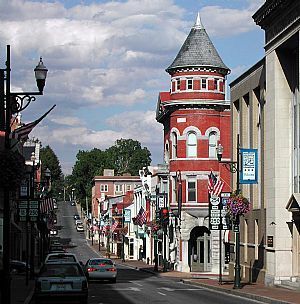 We will stay with my grandfather in Staunton but will make day trips during the week to Fredericksburg and Bedford to visit my uncles. I'm excited. I haven't been up there since March of 2008 for my grandmother's (Mow-Mow's) funeral. 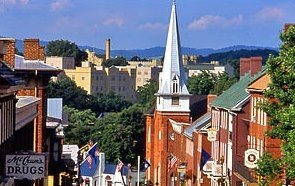 I think Virginia is a beautiful state, and I'm looking forward to the adventure! All of the towns we'll be visiting are full of history. I love towns where the past is so visibly honored and preserved. I find them to be very refreshing. Hopefully I'll come back with lots of good photos! I'm only bringing a carry-on for this trip. In the past, this would have posed a problem, but thanks to airline baggage fees, I've gotten pretty good at pairing down the luggage size. If you're challenged in this area, here are some really good tips from Bethenney Frankel's website on how to pack light. Pick a classic color scheme. Determine whether it will be black, browns or if it’s summer then whites. Wear one of your heaviest shoes for the trip on the plane and bring another pair that works from day-to-night. Wear a shawl sweater on the plane. This can be your “it’s chilly” sweater the whole time you’re traveling. Also wear classic yet somewhat-stylish jewelry on the plane for security and functionality; this is what you will wear for most of the trip. Otherwise, bring a stash of creative costume jewelry. This is where you can add flair and change up simple, classic, easy-to-pack pieces. Bring one workout outfit, although I usually commit to walking in another city for an hour in comfy shoes as my workout. Bring a few staples: white and black tanks and Ts and one pair of jeans and one pair of leggings. With your shawl sweater and great jewelry and sunglasses and comfy shoes, this is your everyday outfit. Bring a classic black dress to go with comfy day-to-night heels that work with any dress. Bring one small clutch that will work every night and another dress that goes with your sweater and heels. To sleep, bring one small nighty or T-shirt. As far as toiletries, buy a small plastic toiletry holder that has small bottles and labels. I bought mine at Sephora. Fill the bottles with all you need and you’ll never need to pack these annoying items. Just pick it up and bring it. The same goes for a makeup bag. Have it ready. As for a brush, have it in your purse on the plane. Call ahead and make sure there is a good blow dryer where you are going. If you need a straightener or curlers, buy the travel ones online. I bought mine for $20 each. As far as the blog goes, I won't leave you hanging. I'm not sure if I will have internet so I am planning ahead with the posts. If technology allows, I'll give real-time updates as well.